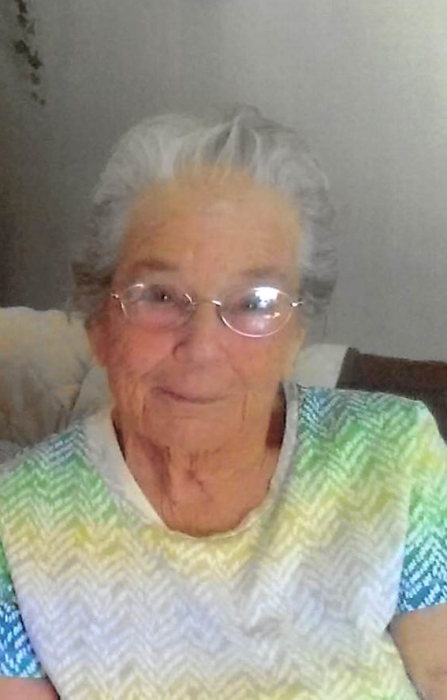 Obituary for Jessie Marietta (Moore) Lime | Schaffer Funeral Home, Inc.
Jessie Marietta Lime, 83, of Defiance, passed away surrounded by her family on Friday morning, November 2, 2018 at CHP Defiance Area Inpatient Hospice Center. She was born on March 8, 1935 to Jessie and Maybelle Moore in Florence, South Carolina. On October 23, 1975 she married Greg Lime, who resides in Defiance. Marietta was an active member of Ayersville United Methodist Church. She was a multi-talented woman who was able to do whatever she put her mind to. She helped Greg with their family business, "Greg's Woodcrafts". In her leisure time she enjoyed gardening, baking, and cooking. She was a devoted wife and mother, and was very proud of her children and grandchildren and their accomplishments. Marietta will be dearly missed by her husband Greg Lime of Defiance, daughter, Becky (Rockey) Wilson of Defiance, sons, Tim Wilson of Defiance, Mitch Wilson of Wauseon, David Wilson of Defiance, Mark (Beth) Wilson of Irmo, SC, and Mike (Lisa) Wilson of Archbold, 12 grandchildren, and 10 great-grandchildren. She will also be missed by so many others who knew her as "Mom" or "Grandma". In addition to her parents, she was preceded in death by a son, Joey Wilson, brothers, Gene Moore and Jim Moore, and sisters, Elma Heilman and Margaret Smith. Visitation will be held from 2-8 pm on Monday, November 5, 2018 at Schaffer Funeral Home in Defiance, and for one hour prior to services at the church. Funeral services will be held at 11:00 am on Tuesday, November 6, 2018 at Ayersville United Methodist Church, with Rev. Clarence Dinnen officiating. Memorials are suggested to Ayersville United Methodist Church, or CHP Defiance Inpatient Hospice Center.